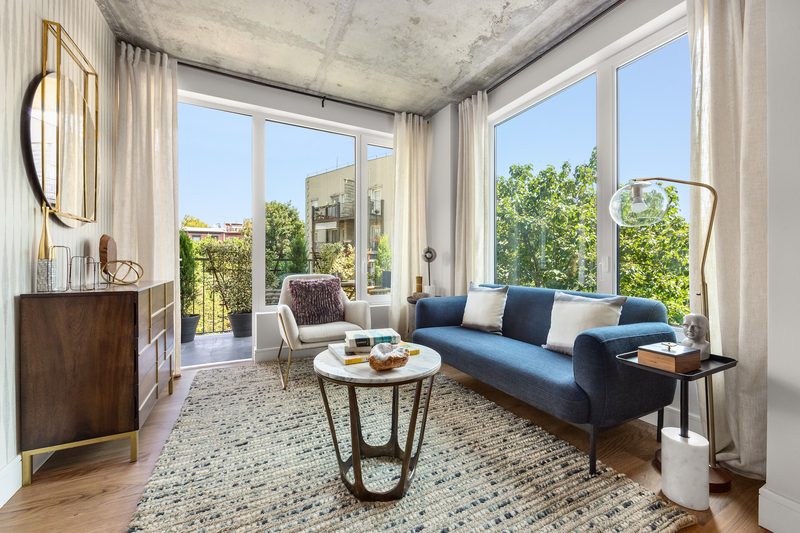 Situated at the crossroads of Clinton Hill and Prospect Heights, 929 Atlantic Avenue is a brand new boutique building offering 19 luxury residences in hotter-than-ever Brooklyn. There are three apartments per floor. Today’s home has a private 906-square-foot backyard and 1,003 square feet of stylish living space inside. 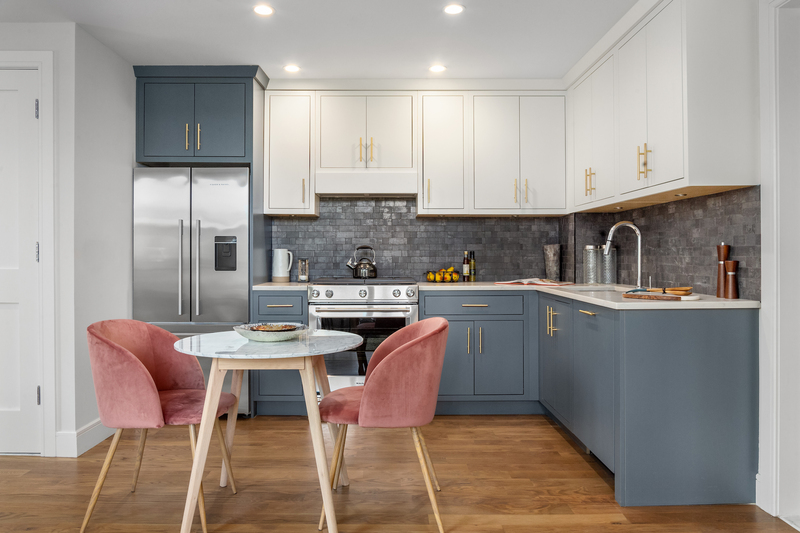 THe interiors showcase refined contemporary finishes with a subtle industrial edge, highlighted by exposed cement accents, vintage bronze hardware, and weathered white oak floors. The chef’s kitchen is artfully designed with 2-tone custom cabinetry enhanced by satin brass euro-style hardware in modern gold, polished Calacatta grey marble countertops, metallic mosaic backsplashes, and fully-integrated Fisher & Paykel and Bosch appliances with a Kitchen Aid convection oven and recirculating Faber hood. 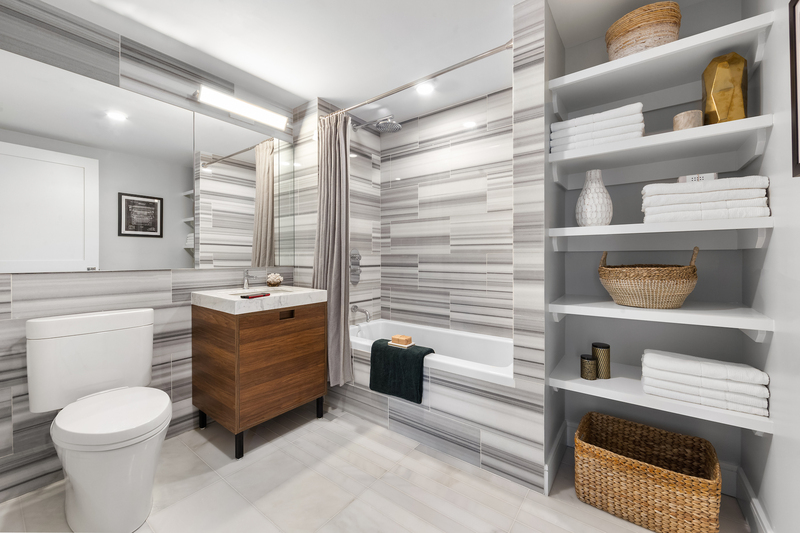 The sleek contemporary bathrooms have Marmara marble walls and floors, custom vanities, Aquabrass polished chrome fixtures, and rainfall showerheads. 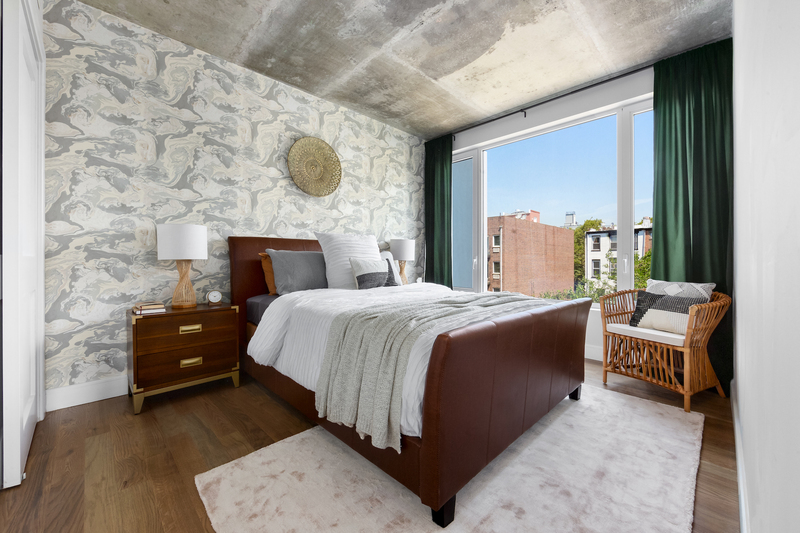 The bedrooms showcase the charm of the area. 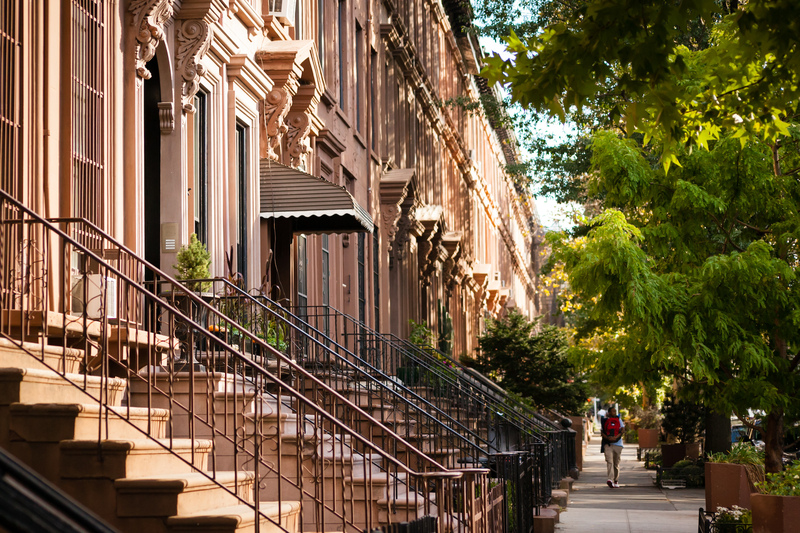 Clinton Hill is known for its lovely tree-lined blocks and charming rowhouses. 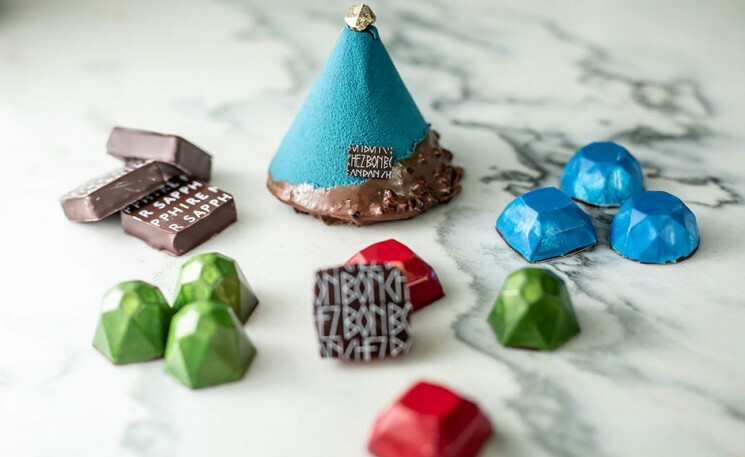 Indie shops, hipster restaurants, a farmers’ market and a variety of green spaces. 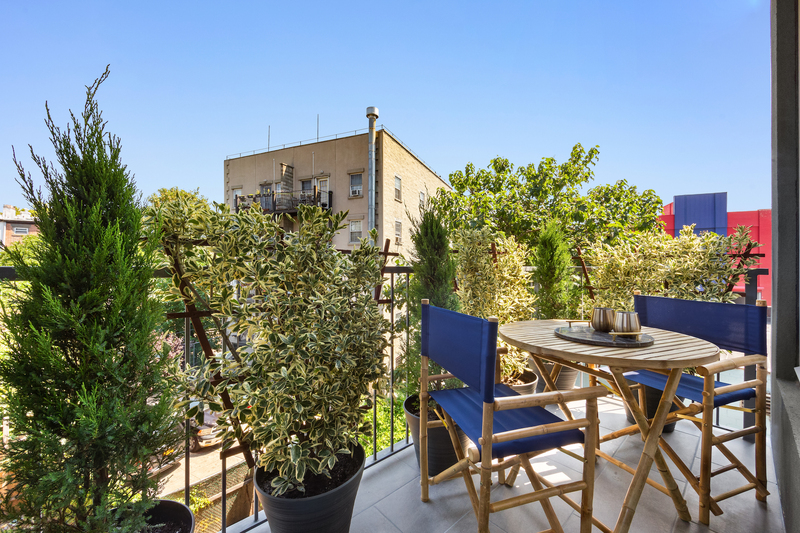 This unit is listed for $999,000 with Ariel Tavivian, Yair Tavivian, Shai Bernstein and Francis Russo of Douglas Elliman.